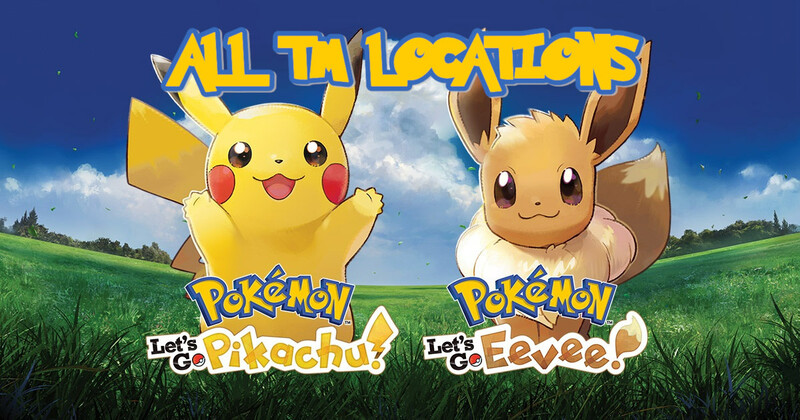 There’s a new challenge in Pokémon Let’s Go Pikachu and Eevee. After you achieve victory in the Pokémon League, you get to challenge 153 master trainers—each one armed with exceptional mastery over a single Pokémon from the game’s Pokédex line-up. 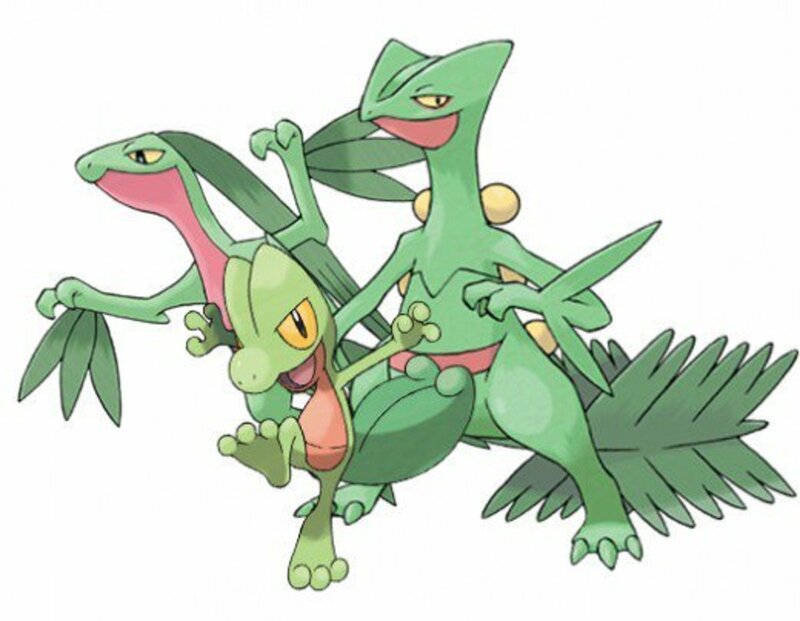 All the master trainers are scattered throughout the region of Kanto. 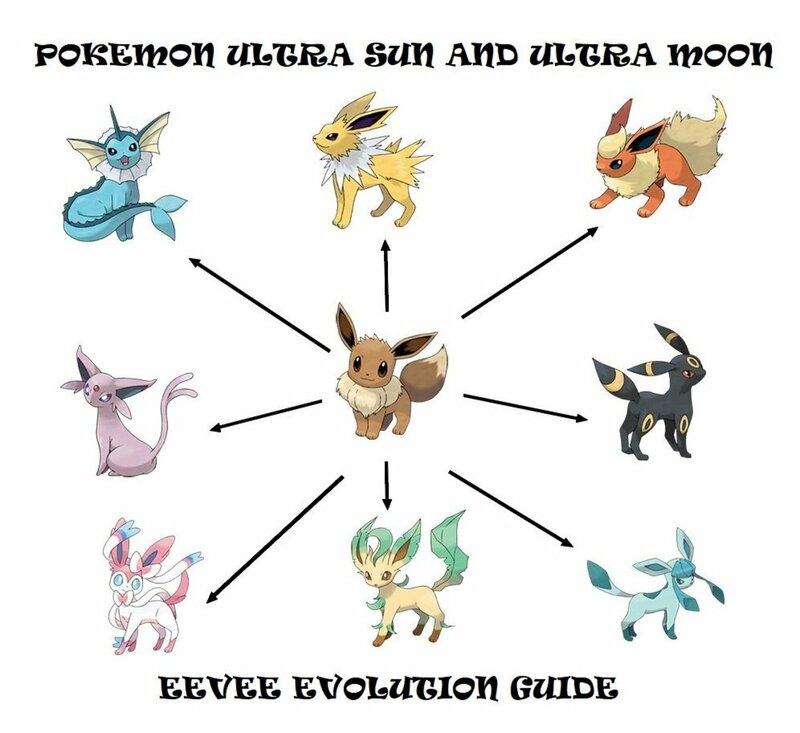 Having said that, this guide is here to help you track each and every one of them! This is the final challenge. 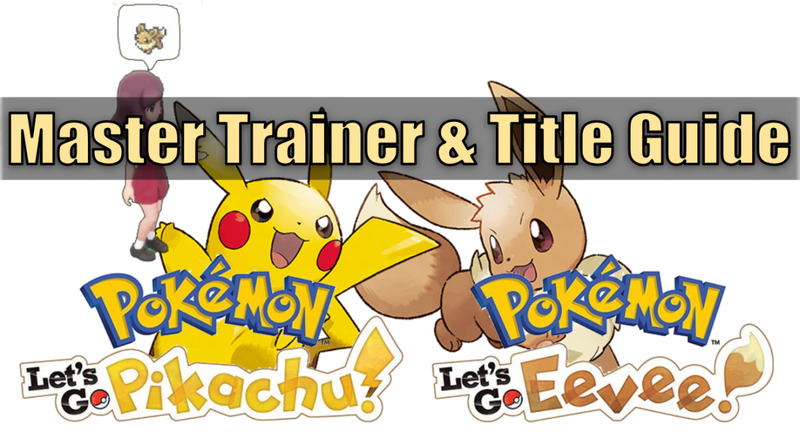 Overpower all the master trainers and become the best Pokémon master in Kanto! Are you up for the master trainer challenges? 1. Bulbasaur Master Trainer (Lass) – She’s along the path on Route 4 between Mt. Moon and Cerulean City. From the entrance/exit of Mt. Moon, head straight east until you come into contact with her. 2. Ivysaur Master Trainer (Lass) – She’s beside the bush on the southeast corner of Route 14. 3. Venusaur Master Trainer (Lass) – She’s by the exit of Victory Road on Route 23. It’s along the path leading to the Indigo Plateau. 4. Charmander Master Trainer (Ace Trainer) – He’s inside the classroom on the topmost floor of the Celadon Condominiums in Celadon City. In order to reach the said classroom, you need to pass through the back entrances. 5. Charmeleon Master Trainer (Ace Trainer) – He’s standing on the southwest corner of Route 10. From the entrance of Rock Tunnel, head southwest until you come into contact with him. 6. Charizard Master Trainer (Ace Trainer) – He’s standing on the west side of the area leading to the Indigo Plateau on Route 23. It’s the area where there are several poké ball statues. 7. Squirtle Master Trainer (Swimmer) – She’s on the west side of the wooden bridge area between Lavender Town and the gatehouse on Route 12. From the south exit of Lavender Town, head southwest until you reach her. 8. Wartortle Master Trainer (Swimmer) – She’s swimming in the area of the sea northwest of Seafoam Islands and northeast of Cinnabar Island on Route 20. 9. Blastoise Master Trainer (Swimmer) – She’s swimming in the area of the sea southeast of the northeast entrance of the cave on Seafoam Islands. 10. Caterpie Master Trainer (Bug Catcher) – He’s standing near the gatehouse west of Fuchsia City on Route 18. 11. Metapod Master Trainer (Bug Catcher) – He’s standing near the gatehouse east of Fuchsia City on Route 11. 12. Butterfree Master Trainer (Bug Catcher) – He’s inside the gatehouse between Route 2 and Viridian Forest. 13. Weedle Master Trainer (Bug Catcher) – He’s on the southwest quadrant of Viridian Forest. From the gatehouse between Viridian Forest and Viridian City, move straight north and then west until you reach him. 14. Kakuna Master Trainer (Bug Catcher) – He’s on the east side of Route 13. He’s standing on a patch of grass inside an area that can only be accessed if you use the Chop Down secret technique on the tree blocking the path. 15. Beedrill Master Trainer (Bug Catcher) – He’s near the center of Route 8. He’s inside the area blocked off by fences and trees. You will need to use the Chop Down secret technique in order to access the area. 16. Pidgey Master Trainer (Bird Keeper) – He’s standing near the north entrance/exit of Viridian City on Route 2. 17. Pidgeotto Master Trainer (Bird Keeper) – He’s standing directly across the gatehouse east of Celadon City on Route 16. 18. Pidgeot Master Trainer (Bird Keeper) – He’s on the 2nd floor of the gatehouse between Lavender Town and Route 12. 19. Rattata Master Trainer (Youngster) – He’s near the patch of grass behind the Pokémon Center on Route 10. 20. Raticate Master Trainer (Youngster) – He’s inside the ransacked house in Cerulean City. 21. Spearow Master Trainer (Bird Keeper) – He’s standing by the flower garden near the entrance of Pewter City. 22. Fearow Master Trainer (Bird Keeper) – He’s standing near the gatehouse east of Fuchsia City on Route 18. 23. Ekans Master Trainer (Scientist) – He’s in front of a bush and near the grassy area on Route 4. You can reach him via the path going from Mt. Moon to Cerulean City or the path going from the river of Route 24 to Route 4. 24. Arbok Master Trainer (Scientist) – He’s on the southwest area of the 1st basement floor of the Team Rocket Hideout inside the Rocket Game Corner in Celadon City. The said area is accessible only by climbing the stairs situated on the southeast area of the 2nd basement floor of the said place. 25. 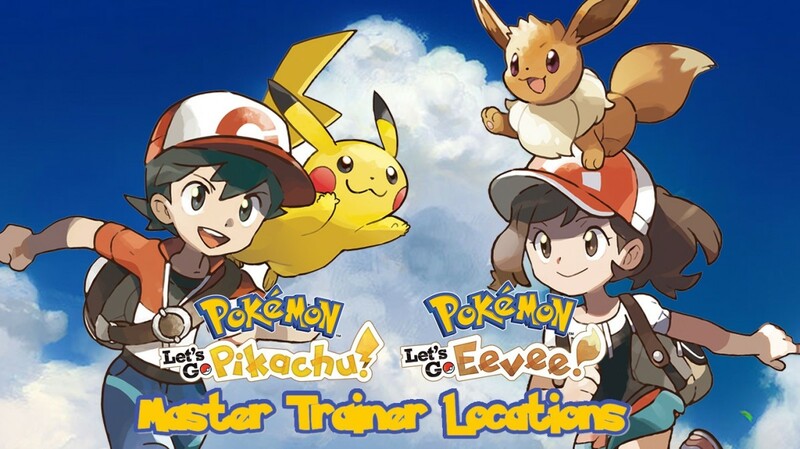 Pikachu Master Trainer (Lass) – She’s along the path near the gatehouse between Pewter City and Viridian Forest. 26. Raichu Master Trainer (Lass) – She’s near the tombstones on the northwest corner of the 5th floor of the Pokémon Tower in Lavender Town. 27. Sandshrew Master Trainer (Hiker) – He’s near the entrance of Diglett’s Cave on Route 11. 28. Sandslash Master Trainer (Hiker) – He’s inside the gatehouse connecting Saffron City and Route 7. 29. Nidoran♀ Master Trainer (Ace Trainer) – He’s standing along the road leading to Mt. Moon on Route 3. 30. Nidorina Master Trainer (Ace Trainer) – He’s inside the Underground Path between Celadon City and Lavender Town. 31. Nidoqueen Master Trainer (Ace Trainer) – He’s on the pathway leading to the Victory Road on Route 23. It’s the pathway that is situated in the area following the river pathway. 32. Nidoran♂ Master Trainer (Ace Trainer) - He’s on the east side of the dirt road on Route 4. From the entrance/exit of Mt. Moon, head straight down two ledges until you reach him. 33. Nidorino Master Trainer (Ace Trainer) – He’s inside the Underground Path between Celadon City and Lavender Town. 34. Nidoking Master Trainer (Ace Trainer) – He’s on the west side of the pathway leading to the Victory Road on Route 23. The said pathway is in the area of the Volcano Badge checkpoint gate. 35. Clefairy Master Trainer (Lass) – She’s standing in front of the houses along the path east of the gatehouse connecting Route 7 and Saffron City. 36. Clefable Master Trainer (Lass) – She’s on the 1st basement level of Mt. Moon. The said level is only accessible via the ladder on the northern-central side of the 1st level of Mt. Moon coming from Pewter City. 37. Vulpix Master Trainer (Ace Trainer) – He’s near the east side of the gatehouse on Route 6. 38. Ninetales Master Trainer (Ace Trainer) – He’s near the exit of Route 9 leading to the entrance of Route 10. 39. Jigglypuff Master Trainer (Lass) – She’s inside the Pokemon Center in Pewter City. 40. Wigglytuff Master Trainer (Lass) – She’s at the end of the hallway near the entrance of the president’s office on the 11th floor of the Silph Co. Head Office in Saffron City. The only route to the said area is through the warp portal near the center of the 3rd floor and the subsequent warp portal inside the closed off room on the 7th floor. 41. Zubat Master Trainer (Scientist) – He’s on the 1st basement floor of the Rock Tunnel. From the entrance of Rock Tunnel on Route 10, head east and descend upon the ladder. Continue traversing along the path east until you reach him. 42. Golbat Master Trainer (Scientist) – He’s standing near the two ladders on the 2nd level of the Victory Road. 43. Oddish Master Trainer (Lass) – She’s beside the flower bed east of the Pokémon Center in Viridian City. 44. Gloom Master Trainer (Lass) – She’s standing on the lawn west of the Pokémon Center in Pewter City. 45. Vileplume Master Trainer (Lass) – She’s on the northwest corner of the fence maze on Route 14. 46. Paras Master Trainer (Bug Catcher) – He’s on the northeast corner of the 1st level of Mt. Moon. The said level is the area immediately accessible from the entrance/exit leading to Pewter City. 47. Parasect Master Trainer (Bug Catcher) – He’s on the southeast corner of Route 2. 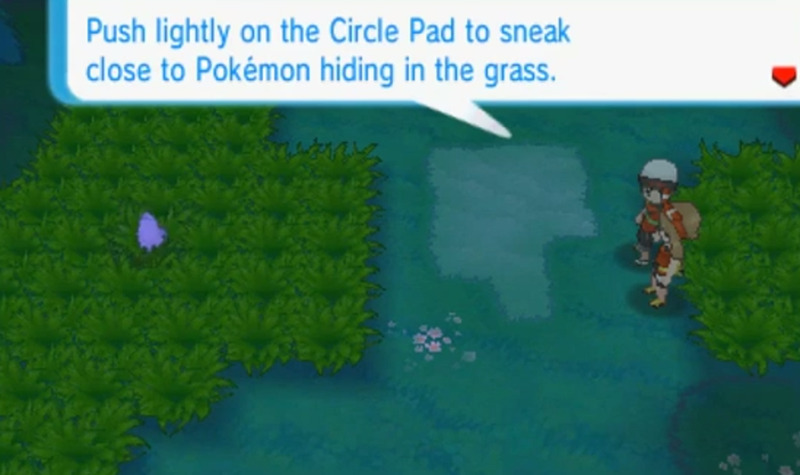 In order to reach him, you could cut the trees on Route 2 with your Chop Down secret technique or pass through Diglett’s Cave from Route 11. 48. Venonat Master Trainer (Bug Catcher) – He’s in front of a bush near the northwest corner of Route 24. 49. Venomoth Master Trainer (Bug Catcher) – He’s on the pathway beyond the ledge and behind the tree on Route 15. In order to reach him, head straight east from Fuchsia City and its gatehouse. Then, make a quick u-turn once you reach Route 14. Cut the tree blocking the path using the Chop Down secret technique and continue down the path until you reach him. 50. Diglett Master Trainer (Hiker) – He’s on the first level of Diglett’s Cave. 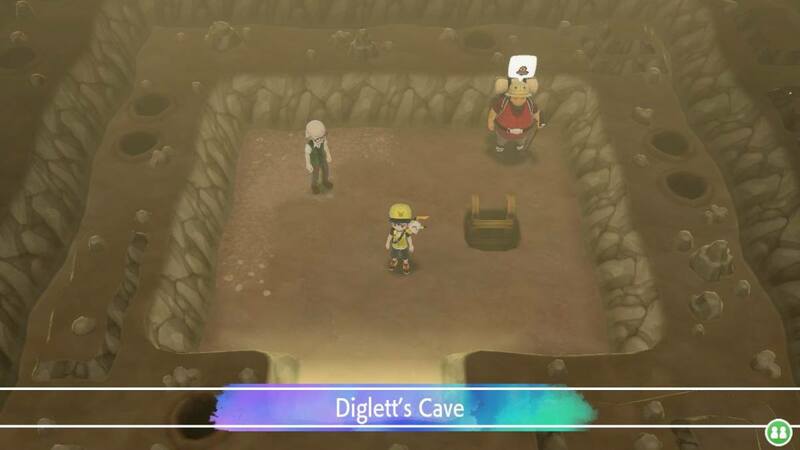 Go inside the entrance of Diglett’s Cave from Route 2. 51. Dugtrio Master Trainer (Hiker) – He’s along the pathway inside Diglett’s Cave. The fastest way to reach him is by entering through the entrance of Diglett’s Cave on Route 11. 52. Meowth Master Trainer (Youngster) – He’s inside the Poké Mart in Viridian City. 53. Persian Master Trainer (Youngster) – He’s near the stairs on the 4th basement floor of the Team Rocket Hideout inside the Rocket Game Corner in Celadon City. It’s the area where you previously asked Pikachu to sneak through the vents in order to retrieve the key card. 54. Psyduck Master Trainer (Swimmer) – She’s swimming in the southwest corner of the sea on Route 21. 55. Golduck Master Trainer (Swimmer) – She’s swimming in the river on Route 4. In order to reach her, you need to go to Route 24 from Cerulean City and head west. Use the Sea Skim secret technique to swim until you arrive at her location by the end of the river. 56. Mankey Master Trainer (Black Belt) – He’s standing near the center of Route 5. From Cerulean City, head south until you come upon several ledges leading to the Pokémon Daycare Center. Pass through three ledges and you’ll be right where he is. 57. Primeape Master Trainer (Black Belt) – He’s on the 2nd floor of the gatehouse between Route 11 and Route 12. 58. Growlithe Master Trainer (Ace Trainer) – He’s on the grassy area between gatehouse on Route 7 and Saffron City. 59. Arcanine Master Trainer (Ace Trainer) – He’s in the lobby of the hotel on the southeast area of Celadon City. 60. Poliwag Master Trainer (Lass) – She’s near the south exit of Route 12. 61. Poliwhirl Master Trainer (Lass) – She’s inside the house right next to the Pokémon Center in Cerulean City. 62. Poliwrath Master Trainer (Black Belt) – He’s behind the two houses northwest of the Pokémon Center in Cerulean City. 63. Abra Master Trainer (Psychic) – He’s on the southwest corner of Viridian City. From the entrance of Viridian City, head west until you reach him. 64. Kadabra Master Trainer(Psychic) – He’s inside Mr. Psychic’s house on the southeast corner of Saffron City. 65. Alakazam Master Trainer (Psychic) – He’s near the entrance of Rock Tunnel on Route 10. 66. Machop Master Trainer (Black Belt) – He’s on the 4th floor of the Silph Co. Head Office in Saffron City. He’s near the orange boxes on the west side of the said floor. 67. Machoke Master Trainer (Black Belt) – He’s inside the second house to the east of the Pokémon Center in Fuchsia City. 68. Machamp Master Trainer (Black Belt) – He’s on the northeast quadrant of Vermilion City. 69. Bellsprout Master Trainer (Lass) – She’s inside the classroom beside the Pokémon Center in Viridian City. 70. Weepinbell Master Trainer (Lass) – She’s on the 6th floor of the Pokémon Tower in Lavender Town. 71. Victreebel Master Trainer (Lass) – She’s standing near the Celadon Gym in Celadon City. 72. Tentacool Master Trainer (Scientist) – He’s standing east of the northwest cave on Seafoam Islands. 73. Tentacruel Master Trainer (Scientist) – He’s on a small island east of Cinnabar Island on Route 20. 74. Geodude Master Trainer (Hiker) – He’s on the 1st level of Rock Tunnel. From the entrance/exit of Rock Tunnel coming from Lavender Town, take the east ladder. From there, head over to the next east ladder. Once you’re on the 1st level again, move west until you see him. 75. Graveler Master Trainer (Hiker) – He’s along the path near the entrance of the 1st level of the Victory Road. 76. Golem Master Trainer (Hiker) – He’s on the 2nd floor of the Pewter Museum of Science in Pewter City. 77. Ponyta Master Trainer (Ace Trainer) – He’s standing near the Poké Mart in Saffron City. 78. Rapidash Master Trainer (Ace Trainer) – He’s standing behind a tree on the northwest corner of Saffron City. 79. Slowpoke Master Trainer (Swimmer) – She’s on a small island on the south area of Route 20. 80. Slowbro Master Trainer (Swimmer) – She’s on a small island on the north area of Route 20. 81. Magnemite Master Trainer (Scientist) – He’s inside the Underground Path connecting Route 5 and Route 6. 82. Magneton Master Trainer (Scientist) – He’s inside the Underground Path connecting Route 5 and Route 6. 83. Farfetch’d Master Trainer (Bird Keeper) – He’s standing beside the Pokémon Center in Vermilion City. 84. Doduo Master Trainer (Bird Keeper) – He’s inside the Home of the Bike Maniac southwest of the Pokémon Center in Cerulean City. 85. Dodrio Master Trainer (Bird Keeper) – He’s along the main path on Route 15. From the gatehouse on the east side of Fuchsia City, head straight east until you come into contact with him. 86. Seel Master Trainer (Swimmer) – She’s on the first level of the northwest cave of Seafoam Islands. 87. Dewgong Master Trainer (Swimmer) – She’s inside the cave on Seafoam Islands. 88. Grimer Master Trainer (Scientist) – He’s standing between the house and the pond near the center of Celadon City. 89. Muk Master Trainer (Scientist) – He’s on the 2nd floor of the Pokémon Mansion on Cinnabar Island. 90. Shellder Master Trainer (Swimmer) – She’s swimming in the sea on the southeast area of Route 19. 91. Cloyster Master Trainer (Swimmer) – She’s swimming in the sea near the southeast cave on Seafoam Islands. 92. Gastly Master Trainer (Psychic) – He’s right behind the Pokémon House in Lavender Town. 93. Haunter Master Trainer (Psychic) – He’s right behind the two house in front of the Pokémon House in Lavender Town. 94. Gengar Master Trainer (Psychic) – He’s right behind the Poké Mart in Lavender Town. 95. Onix Master Trainer (Hiker) – He’s inside the Underground Path connecting Celadon City and Lavender Town. 96. Drowzee Master Trainer (Psychic) – He’s inside the Pokémon Center in Viridian City. 97. Hypno Master Trainer (Psychic) – She’s by the tombstones near the stairs on the 4th floor of the Pokémon Tower in Lavender Town. 98. Krabby Master Trainer (Ace Trainer) – He’s inside the Pokémon Fan Club house in Vermilion City. 99. Kingler Master Trainer (Ace Trainer) – He’s on the 1st floor of the Silph Co. Head Office in Saffron City. 100. 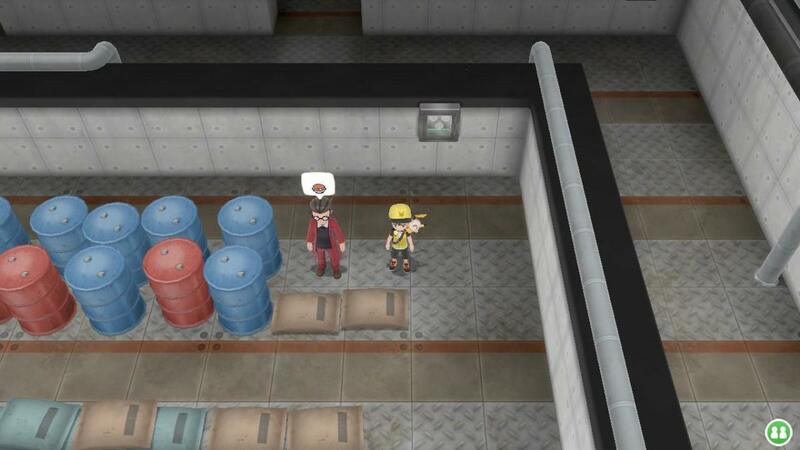 Voltorb Master Trainer (Scientist) – He’s inside the Power Plant on Route 10. 101. Electrode Master Trainer (Scientist) – He’s standing along the road on Route 17. 102. Exeggcute Master Trainer (Lass) – She’s on the pathway beside the bridge on Route 24. From Bill’s house, take the south shortcut going to Cerulean City to reach her. 103. Exeggutor Master Trainer (Lass) – She’s standing between the Cinnabar Lab and the Pokémon Center on Cinnabar Island. 104. Cubone Master Trainer (Hiker) – He’s inside the gatehouse connecting Saffron City and Route 8. 105. 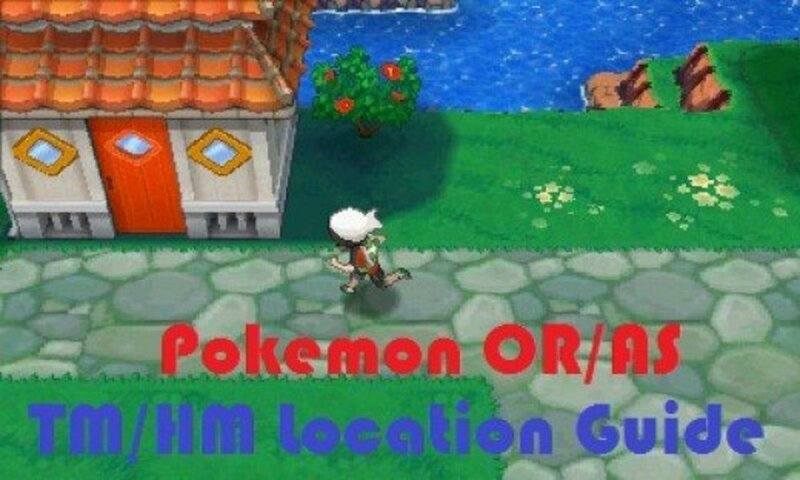 Marowak Master Trainer (Hiker) – He’s inside the Pokémon House in Lavender Town. 106. Hitmonlee Master Trainer (Black Belt) – He’s inside the Saffron Fighting Dojo in Saffron City. 107. Hitmonchan Master Trainer (Black Belt) – He’s inside the Saffron Fighting Dojo in Saffron City. 108. Lickitung Master Trainer (Youngster) – He’s on the 2nd floor of the gatehouse connecting Celadon City and Route 17. 109. Koffing Master Trainer (Scientist) – He’s standing on the road on Route 17. 110. Weezing Master Trainer (Scientist) – He’s on the north pathway on the 3rd basement floor of the Team Rocket Hideout inside the Rocket Game Corner in Celadon City. 111. Rhyhorn Master Trainer (Hiker) – He’s standing on the road on Route 17. 112. Rhydon Master Trainer (Hiker) – He’s on the southwest corner of the 2nd basement floor of the Team Rocket Hideout inside the Rocket Game Corner in Celadon City. In order to reach him, you need to navigate through the arrow maze puzzle area until you reach the southwest corner. 113. Chansey Master Trainer (Lass) – She’s inside the Pokémon Center in Fuchsia City. 114. Tangela Master Trainer (Lass) - She’s at the end of the pathway beyond the ledge and behind the tree on Route 15. In order to reach her, head straight east from Fuchsia City and its gatehouse, then make a quick u-turn once you reach Route 14. Cut the tree blocking the path using the Chop Down secret technique and continue down the path until you reach her. 115. Kangaskhan Master Trainer (Ace Trainer) – He’s beside the lamppost on the northwest corner of the Safari Zone in Fuchsia City. 116. Horsea Master Trainer (Swimmer) – She’s swimming in the area of the sea on the east side of Route 19. 117. Seadra Master Trainer (Swimmer) – She’s swimming in the body of water between Lavender Town and the gatehouse on Route 12. From the south exit of Lavender Town, head southeast until you reach her. 118. 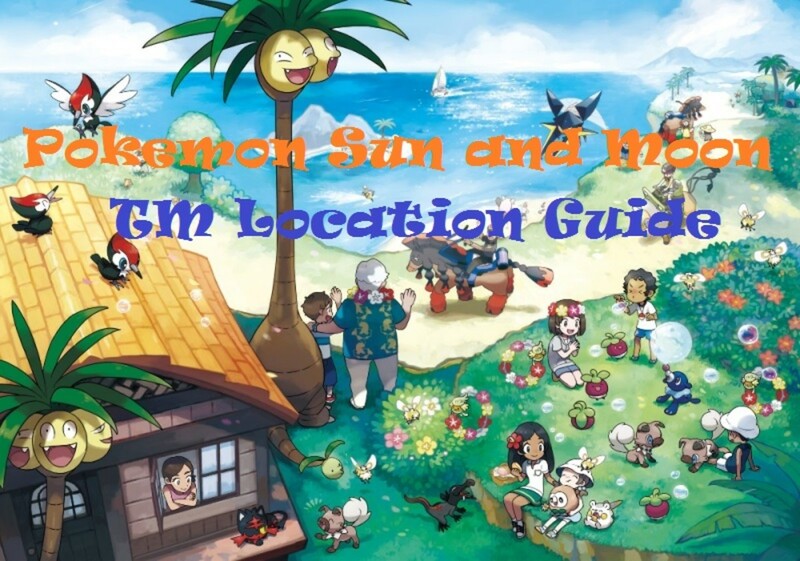 Goldeen Master Trainer (Swimmer) – She’s swimming in the body of water on Route 12. From Mr. Dazzling’s house in the middle of Route 12, head southeast until you reach her. 119. Seaking Master Trainer (Swimmer) – She’s swimming in the body of water on the south area of Route 13. 120. Staryu Master Trainer (Swimmer) – She’s on the beach south of Fuchsia City. 121. Starmie Master Trainer (Psychic) – He’s near Bill’s house at the end of the cape on Route 25. 122. Mr. Mime Master Trainer (Psychic) – He’s on the 2nd floor of the Celadon Condominiums in Celadon City. 123. Scyther Master Trainer (Bug Catcher) – He’s on the 2nd floor of the gatehouse between Fuchsia City and Route 15. 124. Jynx Master Trainer (Psychic) – He’s behind the city signage of Cerulean City. In order to reach him, you need to go to Route 24. Use the Sea Skim secret technique on the west side of the area and follow the river south until you reach him. 125. Electabuzz Master Trainer (Scientist) – He’s on the left side of the Power Plant on Route 10. 126. Magmar Master Trainer (Ace Trainer) – He’s on the 1st floor of the Pokémon Mansion on Cinnabar Island. 127. Pinsir Master Trainer (Bug Catcher) – He’s on the 2nd floor of the gatehouse connecting Fuchsia City and Route 18. 128. Tauros Master Trainer (Ace Trainer) – He’s near the entrance of the Safari Zone in Fuchsia City. From the entrance of the Safari Zone, go east until you see him. 129. Magikarp Master Trainer (Youngster) – He’s inside the Pokémon Center on Route 4. 130. Gyarados Master Trainer (Ace Trainer) – He’s in the lobby of the hotel on the southeast area of Celadon City. 131. Lapras Master Trainer (Lass) – She’s by the tombstones near the stairs on the southeast corner of the 3rd floor of the Pokémon Tower in Lavender City. 132. Ditto Master Trainer (Scientist) – He’s on the 3rd floor of the Pokémon Mansion on Cinnabar Island. 133. Eevee Master Trainer (Lass) – She’s standing along the road on Route 17. 134. Vaporeon Master Trainer (Lass) – She’s on the 2nd floor of the Celadon Department Store in Celadon City. 135. Jolteon Master Trainer (Scientist) – He’s on the 3rd floor of the Celadon Department Store in Celadon City. 136. Flareon Master Trainer (Ace Trainer) – He’s on the 4th floor of the Celadon Department Store in Celadon City. 137. Porygon Master Trainer (Scientist) – He’s inside the Rocket Game Corner in Celadon City. 138. Omanyte Master Trainer (Hiker) – He’s in a secluded area on the 2nd basement floor of Mt. Moon. The said level is only accessible via the ladder on the northern-central side of the 1st level of Mt. Moon coming from Pewter City. 139. Omastar Master Trainer (Hiker) – He’s inside the Cinnabar Lab on Cinnabar Island. 140. Kabuto Master Trainer (Hiker) – He’s in a secluded area on the 2rd basement level of Mt. Moon. The said area is accessible via the ladder on the northeast quadrant of the 1st level off Mt. Moon coming from Pewter City. 141. Kabutops Master Trainer (Hiker) – He’s inside the house on the northeast quadrant of Pewter City. 142. Aerodactyl Master Trainer (Hiker) – He’s inside the Pewter Museum of Science in Pewter City. 143. Snorlax Master Trainer (Ace Trainer) – He’s near the west entance/exit of Celadon City on Route 16. 144. Articuno Master Trainer (Scientist) – He’s on the 4th basement level of the cave on Seafoam Islands. 145. Zapdos Master Trainer (Scientist) – He’s in the control room right before the final room inside the Power Plant on Route 10. 146. Moltres Master Trainer (Scientist) – He’s along the path of the 2nd level of the Victory Road. 147. Dratini Master Trainer (Ace Trainer) – He’s on the patch of land on west side of the river pathway of Route 23. This is the area between the Soul Badge checkpoint gate and the Marsh Badge checkpoint gate. 148. Dragonair Master Trainer (Ace Trainer) – He’s on the 4th basement floor of the cave on Seafoam Islands. 149. Dragonite Master Trainer (Ace Trainer) – He’s inside the house northwest of the Pokémon Center in Cerulean City. It’s the house to the left. 150. Mewtwo Master Trainer (Scientist) - He’s on the basement floor of the Pokémon Mansion on Cinnabar Island. 151. Mew Master Trainer (Scientist) – He’s on the basement floor of the Pokémon Mansion on Cinnabar Island. 152. Meltan Master Trainer (Scientist) – He’s on the basement floor of the Pokémon Mansion on Cinnabar Island. 153. Melmetal Master Trainer (Scientist) – He’s on the basement floor of the Pokémon Mansion on Cinnabar Island. 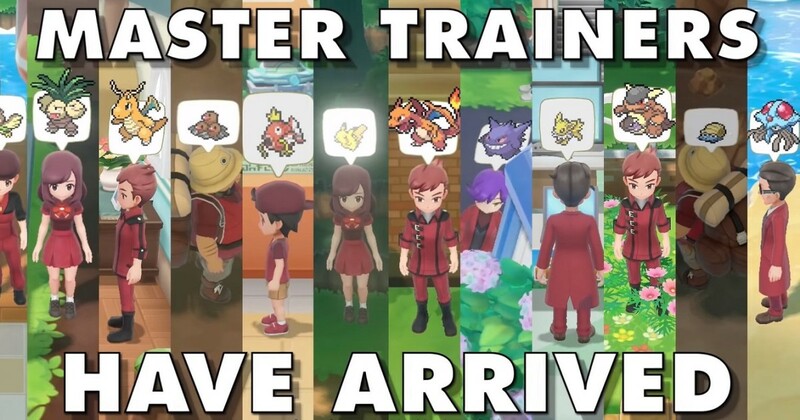 How many Master Trainers have you battled already?